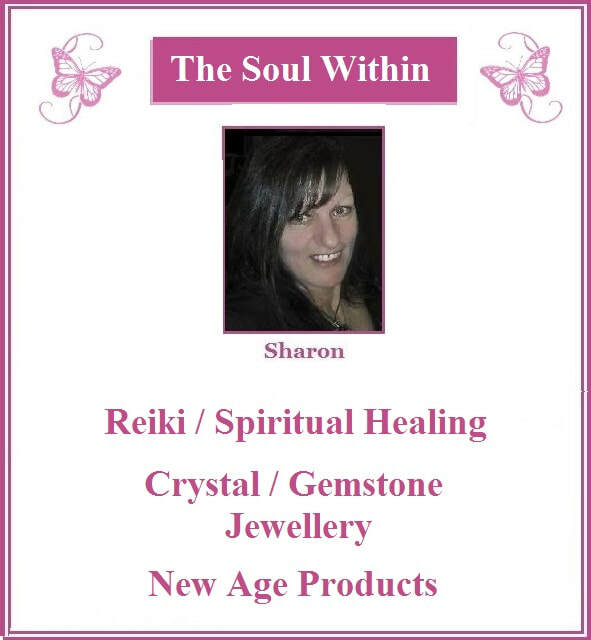 The Soul Within will be available for Reiki / Spiritual Healing .Selling our Reiki infused, hand made range of crystal and gemstone jewellery. Protection Spray Kits. Bach Flower Blends and new age products . 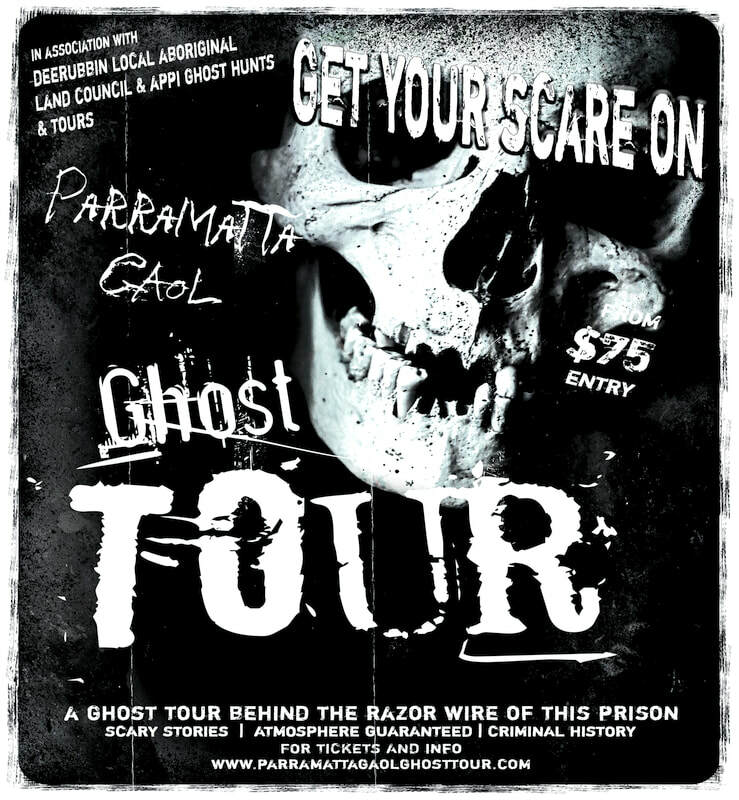 The crew who bring you ghost hunts and tours at Parramatta Gaol, Bella Vista Farm, Berrima Courthouse, Australiana Pioneer Village, and much more will be at the Expo, sharing their experiences, promoting upcoming tours, and wanting to talk to you about their new project they are about to release! As seen on My Ghost Story (USA), Sydney Weekend, Studio 10, Today Extra plus numerous newspaper articles and radio interviews. 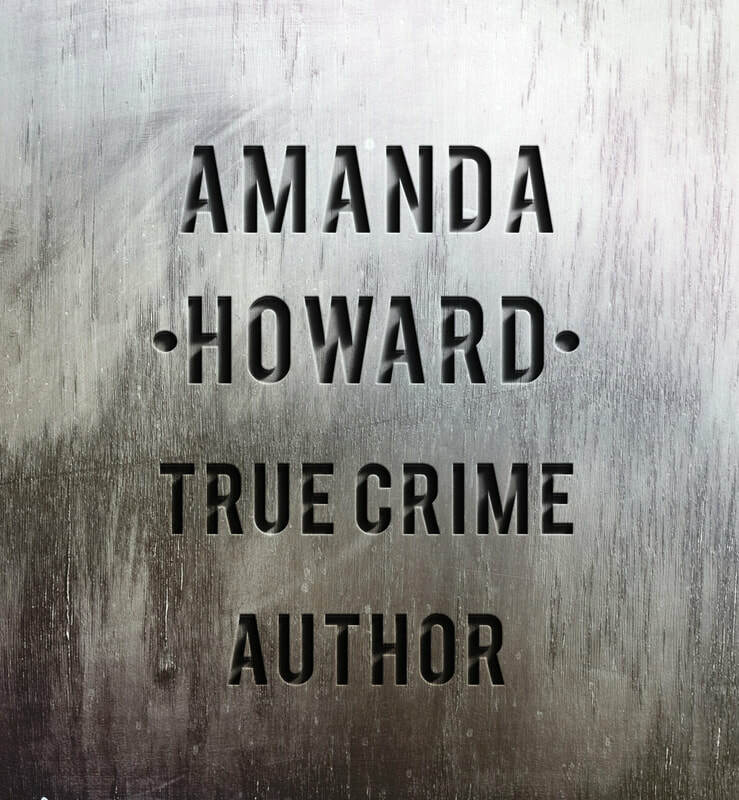 Amanda Howard is a true crime author, fiction writer and serial killer expert. Her writing experience is based on an ongoing degree in criminology and psychology, as well as writing over sixteen books on a wide range of true crime cases. She has also interviewed some of the world's most heinous serial killers over two decades and has collected a vast pool of information on various types of killers, their motives and rituals. Amanda has been a guest on many different documentaries and TV shows, and regularly appears on Studio 10. 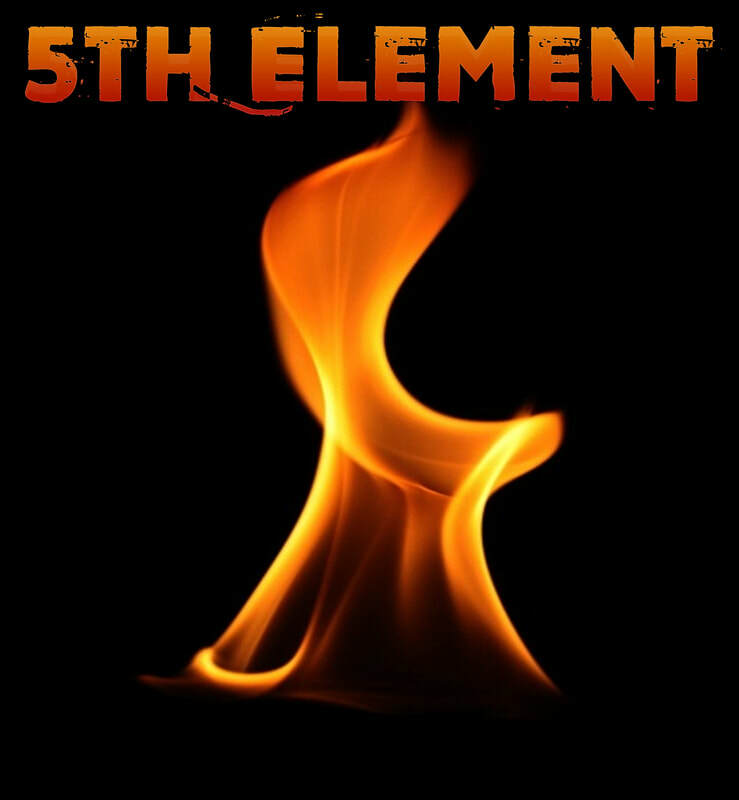 5th Element is a family owned and operated business comprising a herbal dispensary of various resins, resin holders, charcoals, smudge sticks, books plus an assortment of other delightful products for you to enjoy, such as trigger objects for paranormal investigations, antiques and nic-nacs. Credit card facilities are available at this stall. The Cauldron of Wellbeing strives “Create and Enhance Wellbeing for the Body, Mind and Spirit. With this in mind as a qualified Naturopath and Herbalist I have worked long and hard to design and create a range of Herbal Teas or “Brews” as we like to call them. In creating these I have taken into consideration not only the therapeutic benefits of the herbs, but also the energetic properties as well. By combining both aspects I have endeavoured to create a truly holistic range of teas. 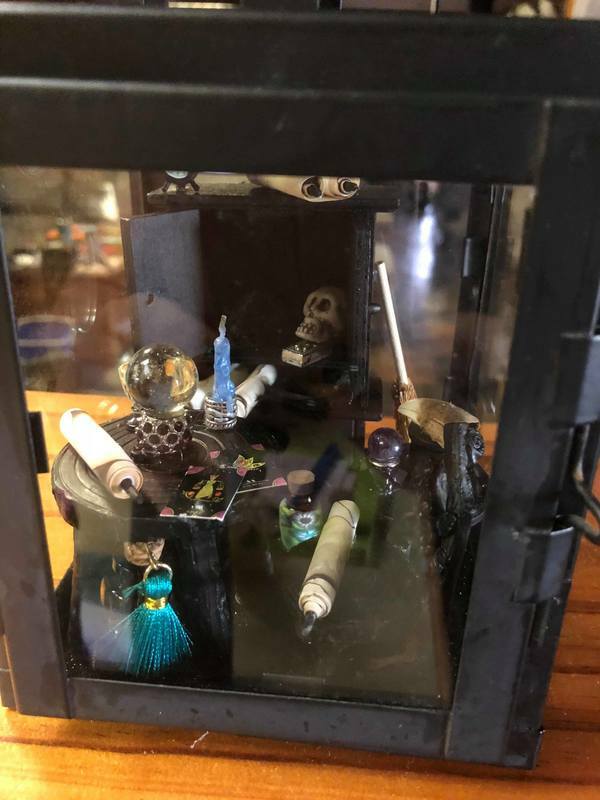 Along with our Brews we have an extensive range of Pagan Statues, Divination items including Tarot & Oracle Cards, Runes and Pendulums, Spell Kits, a large range of Ritual and Spell supplies, Incense, and an eclectic mix of Steampunk, Pop Culture and Gothic items. 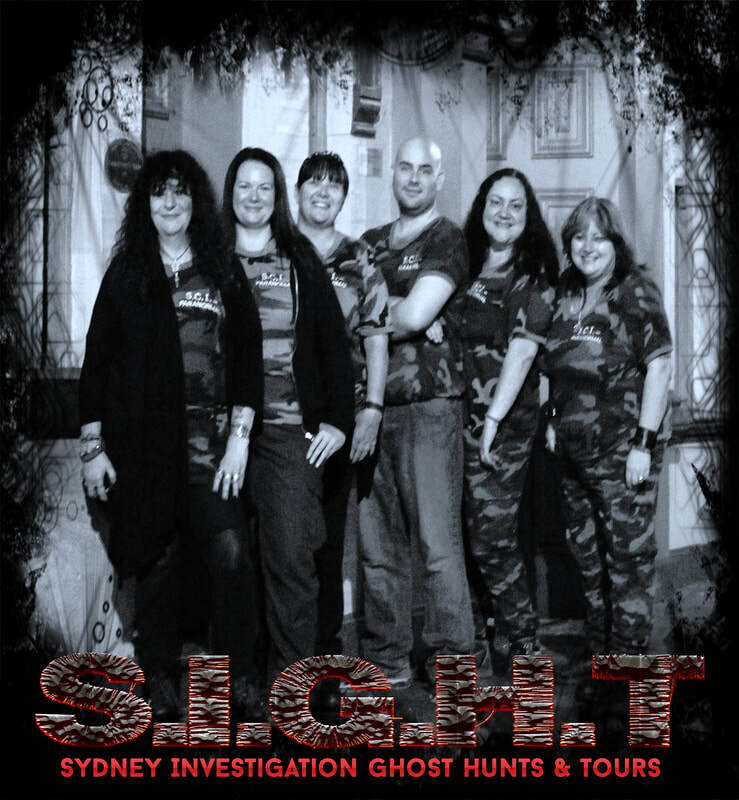 Sydney Investigation Ghost Tours - SIGHT design and provide fun and adventurous Investigation Ghost Tours covering the greater Sydney area's Ghostie Hot Spots.. Regular Investigation Ghost Tours are held in Sydney's South-West, including Campbelltown's Fisher's Ghost Tour. These are not solely historical tours, the emphasis is on actually investigating. You also get to use our ghost hunting equipment. 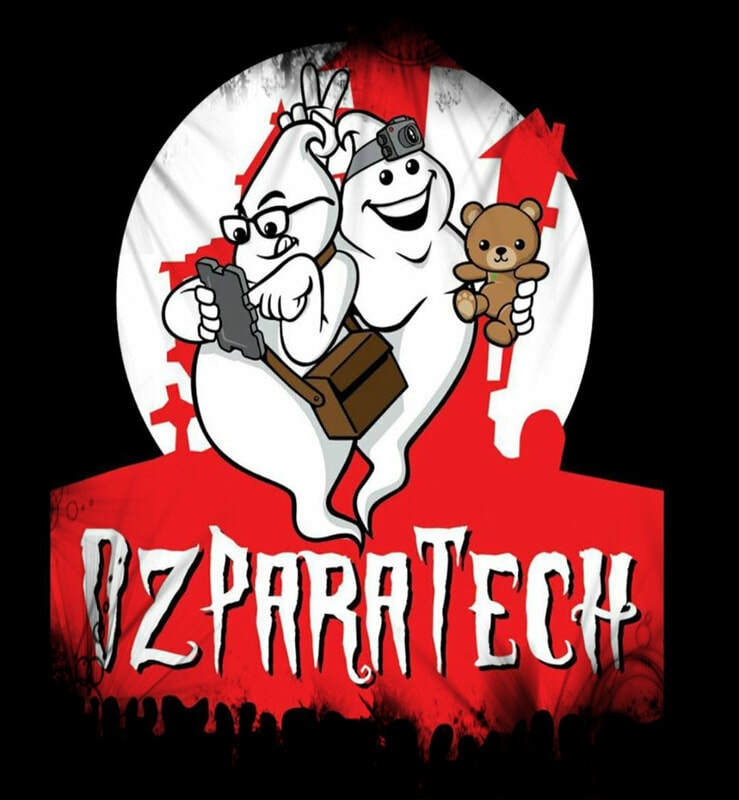 OzParaTech - Equipment for the Paranormal Investigator. A selection of oils from Secret Witch Business will be available for purchase from the Oz Para Tech table. MALU is an Hawaiian word for peaceful thoughts. 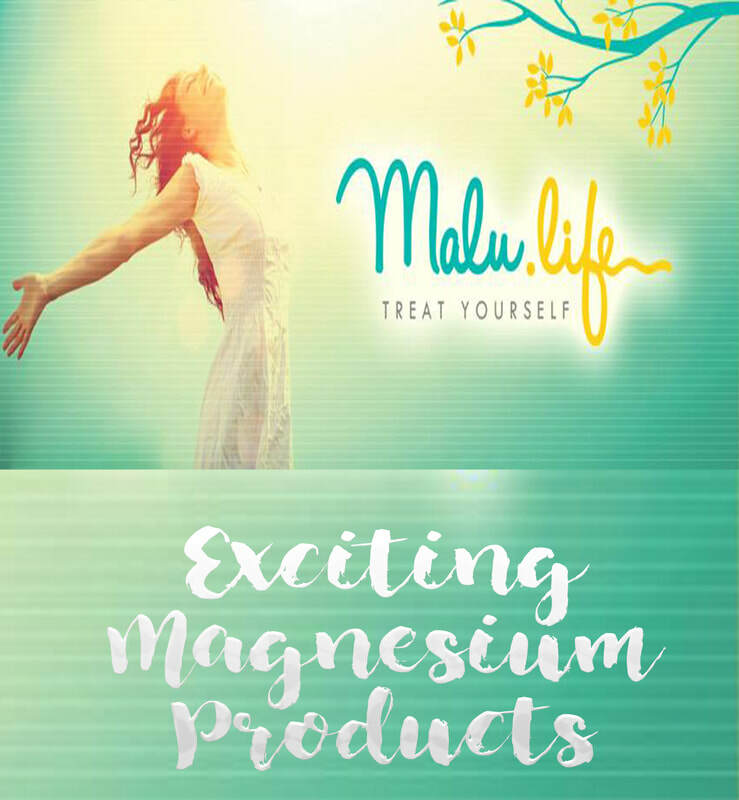 Our magnesium products bring peace through improved health, they are carefully made (with much love and concern for your well-being) from the best available products, 100% natural with no added chemicals or fillers. Increased Magnesium Benefits include - increased energy, calmer mind, improved mood, relieves muscle aches, cramps, restless legs, improved bone strength, less headaches, better digestion, soothes psoriasis & eczema and so much more! ​Our salt lamps are imported directly from the foothills of the Himalayas, and are made from the highest quality Salt. The bases are made from Neem wood known for its durable and termite free qualities. Brett Wright was a front line Police officer for sixteen years. During his career he saw some of the worst that humans can do to each other. Brett was awarded the Commissioners Commendation for Courage and the Jim Affleck award for bravery during his service. 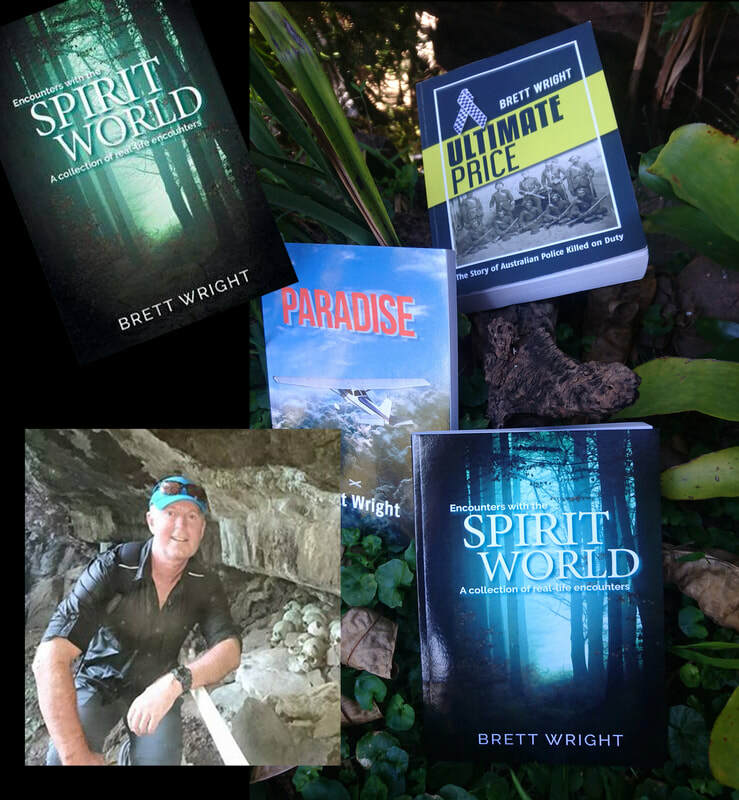 Since leaving the Police Brett has become a successful author and his latest release, Encounters With The Spirit World was released in August, 2018. The book contains many never before documented spirit encounters from people Brett interviewed over a number of years, from Doctors, Lawyers, Police Officers and many others, there are even stories from an astronaut and a future King of England. We read their stories along with many other well known and some not so well known well known encounters. Encounters With The Spirit World also investigates Near Death Experiences with stories from people who have been through these often beautiful, but sometimes terrifying events. From the land to the seas and even the sky's above, the stories entertain and give us all something deeper to think upon. Kaftan 9 was created by Vanessa, a dedicated mother with a passion for all things colourful, unique, and wonderful. 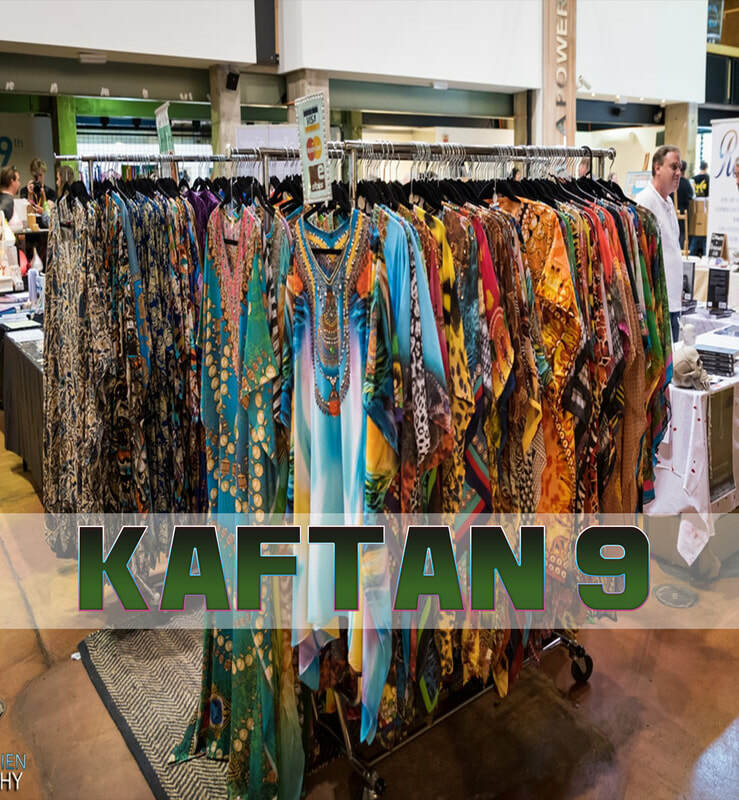 ​Kaftan 9 sells beautiful plus size kaftans with a size range from 12 to 26, both embellished and non-embellished available for many types of occasions. ​All long and short kaftans are decorated with an array of colours that help us express our personality and bring the beautiful light out of all of us. 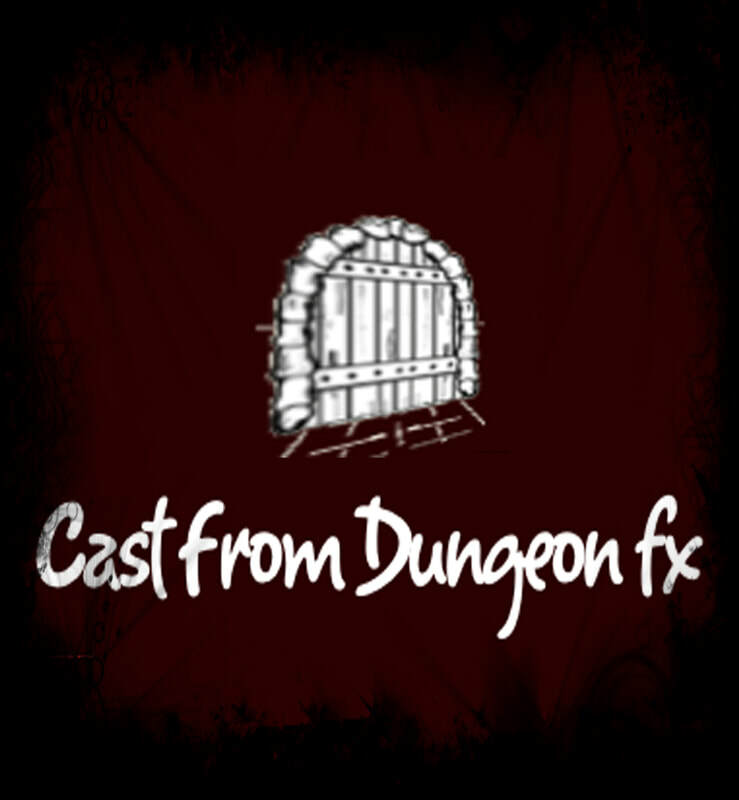 Grant Biffin, principal of Cast From Dungeon fx, is a specialist mould maker, sculptor, prop maker, and makeup effects artist. Grant continually works at perfecting his art, particularly his sculpting and mould making skills, aided by having worked in the movie and television industries in Australia for over 30 years. Grant has always been a fan of the Universal and Hammer Horror films and the Horror genre in general and has collected associated items since he was young. His love of Sci-Fi began the day he saw Star Wars as a pre teen which set him on the road to an extensive Star Wars collection as well and that same day was also when the seed for a Makeup Effects career was planted. 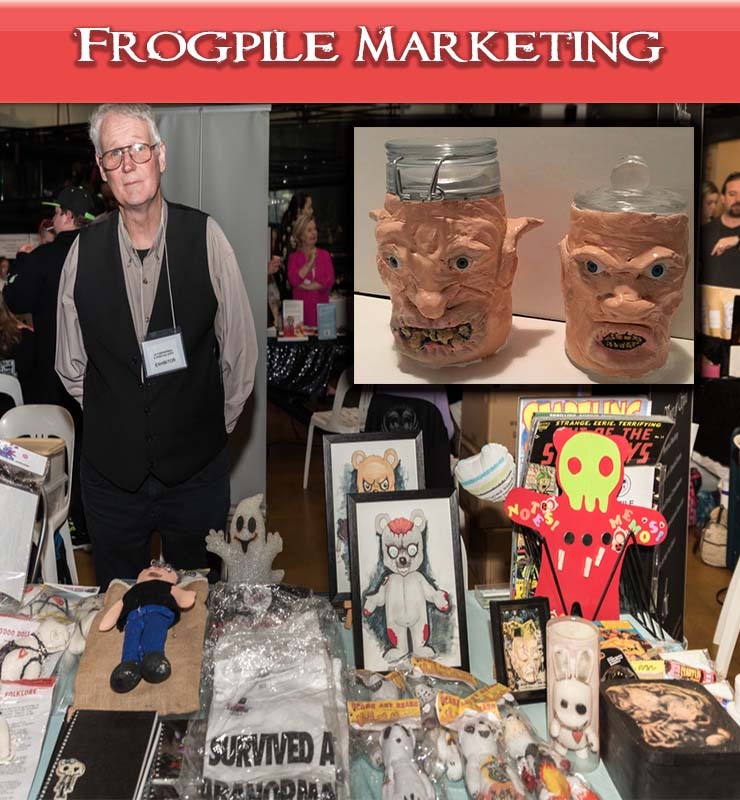 Grant’s Zombie, Gorilla, Wolf, Nosferatu and other products have sold at Chiller Theatre in New Jersey and 2016 at Son of Monsterpolooza. His model kits have been featured in “Amazing Figure Modeller”,”Kitbuilders” and “Modellers Resource” magazines. Alison will also be doing readings at the Expo. Look for her outdoor marquee on the day. Introducing Kate Hotson & Monique Hill from Coffs Harbour NSW. Both Energy Healers & Practitioners. Monique will be sharing Reiki Energy through affordable Neck & Shoulder Massages & Kate will be offering her modality of Geo Light Healing. Geolight Healing is a powerful blend of light, sound and sacred geometry. Each of the 12 beautiful sacred geometry templates have their own unique frequency. These frequencies have been infused into pendants, aura/room mists and essences, which clear negative thought patterns and programming, activate light codes and DNA at the energetic and cellular level to restore balance and harmony to your Being. 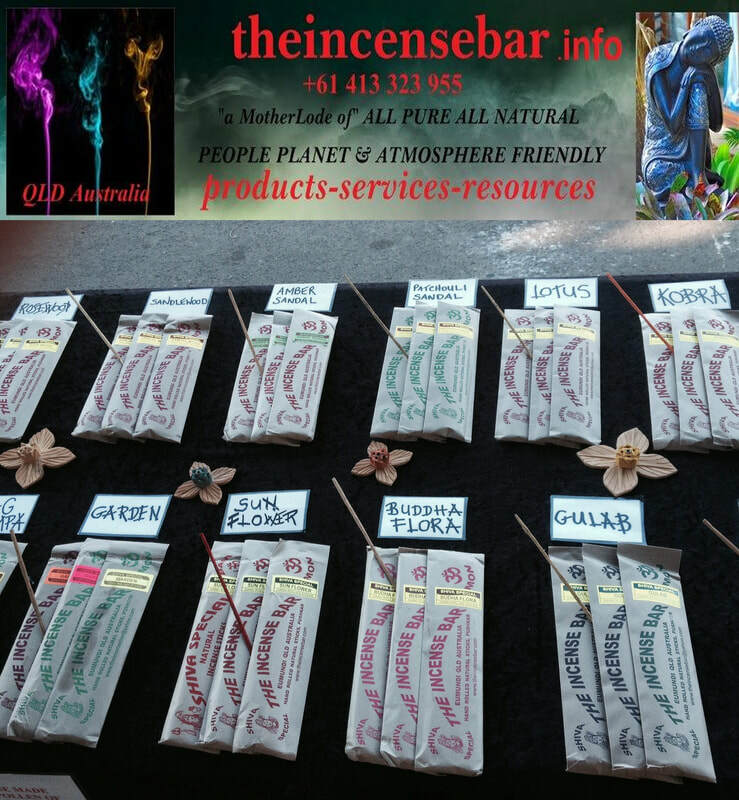 Also available will be Monique’s Hand Rolled Pure Incense, a 300 year old recipe from the Spice Trail through India...Not manufactured you will only find this grade of incense through Monique’s Incense Bar. At The Garden Fairy Workshop, our goal is simple: to spread the joy and love. Our Fairy Godfather Andrew shops around the world for all our fairy garden supply. Our business motto is to bring the best quality of products to you. So you can let your imagination and creativity to run wild, embracing the magic fairies can bring to you and your child. We are the Australia’s leading fairy garden and miniature garden supply retailer. Our selection of fairy accessories, fairy house and doors, garden furnitures and let’s not forget our beautiful fairies and fairies’s friends. 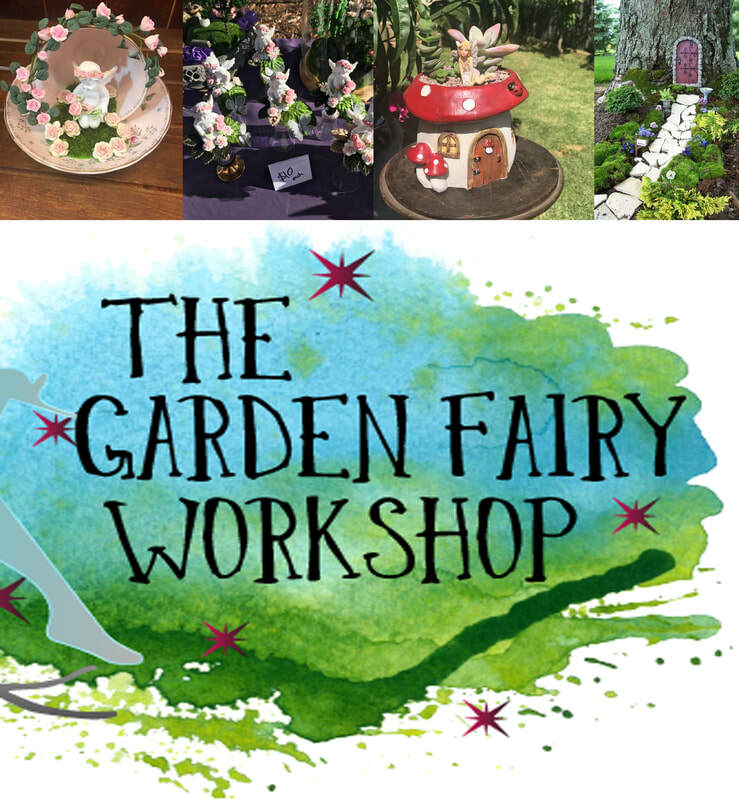 Fairy Godfather is always on the hunt of new designs and fairies to be part of our fairy garden workshop collection. He is passionate about creating indoor or outdoor fairy garden display on his downtime and happy to answer all our queries about fairy garden. If you are looking for fairy garden landscaping / crafting ideas, feel free to send us a message or follow us on facebook anytime. We will assist you to plan your master piece and look forward to see your final enchanted garden display. Here is a stall a little different... home made, beautifully fragranced candles, reiki infused with positive affirmations on them to help people change their lives. There will also be electric melt warmers, melts and cooling towels. 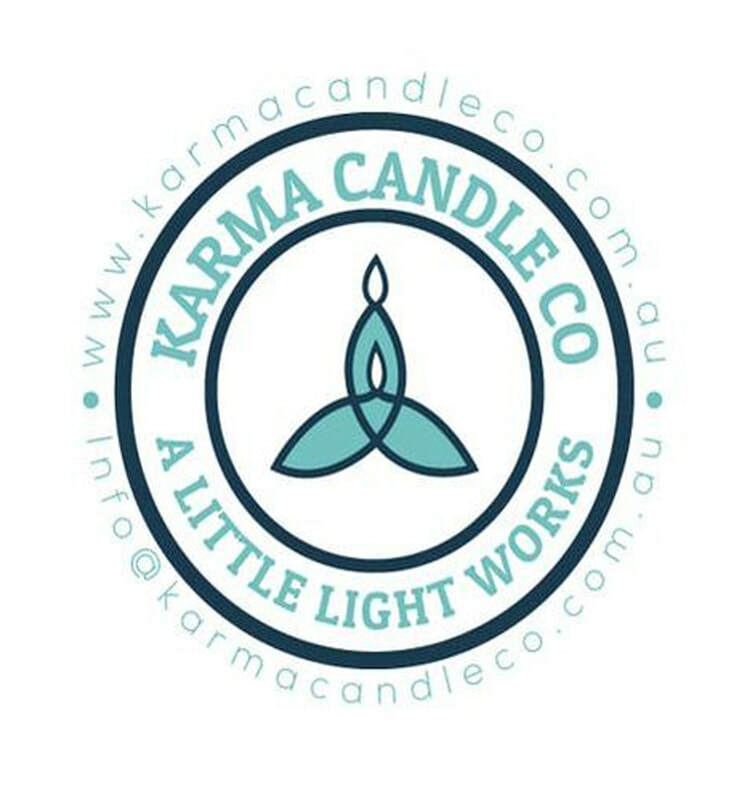 Karma Candles support a charity called Food 4 Everyone, and each jar candle that is sold feeds an orphan. Ever wondered where to start? Or do you have a budding witch who wants to learn? Book a party and you will learn the 101's of witchcraft. Eg: Spell work, pendulums, card reading, tea leaf reading, mirror/water/candle scrying, crystal work, numerology. 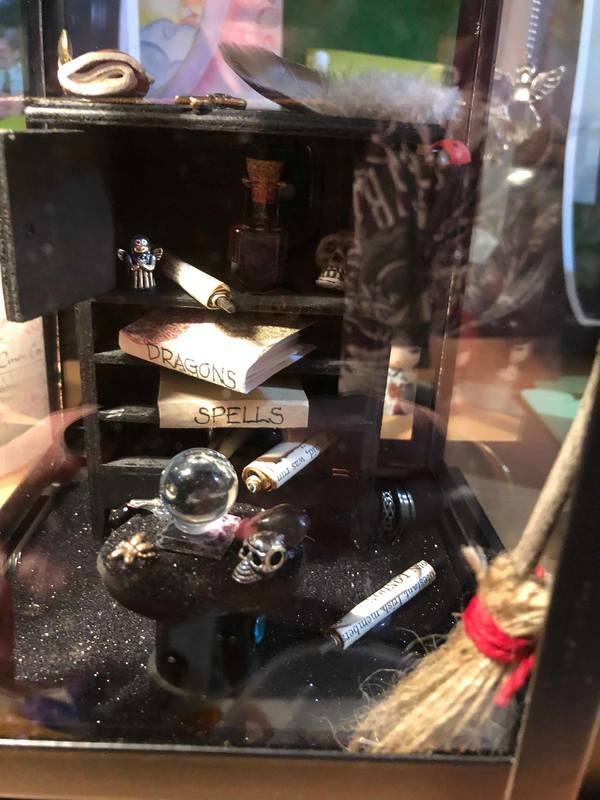 Visit the Magikhappens Witch Parties exhibit at the Expo to find out more, and to browse the various items for sale, including amazing Witch Dioramas. Gaia of the Darkmoon is originally from Salem Massachusetts, USA, where magick is everywhere. She now offers her unique brand of developed witchcraft in Sydney. India and Rhiannon are a mother daughter team originally from south America, and bring to you a unique eclectic mix of traditional witchcraft. They are eclectic witches, artists, and healers who live life by the old ways, in tune with the energies and with a deep reverence for nature. 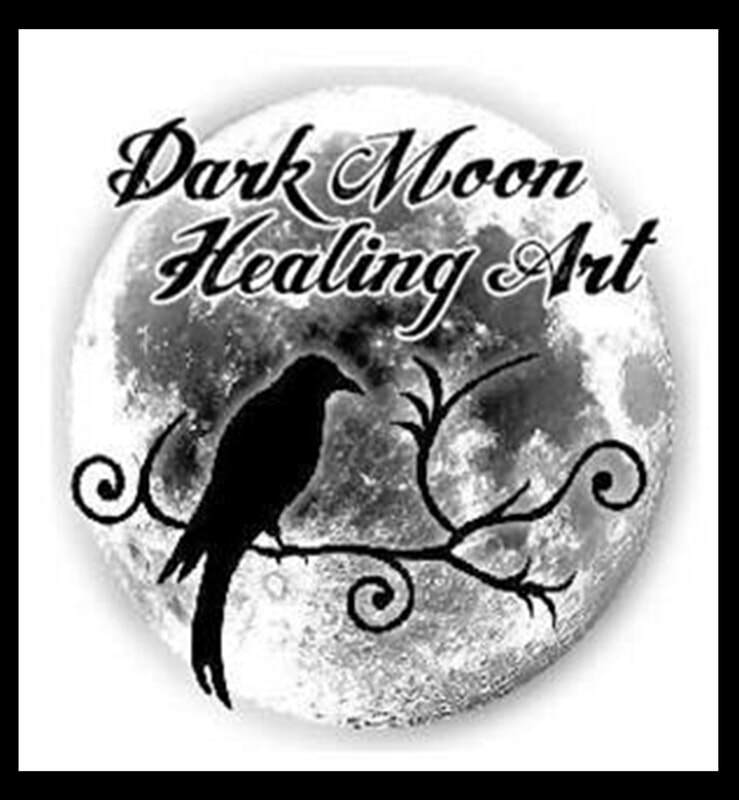 At Dark Moon Healing Art and Witches Gathering you will find an Emporium, Botanica, and Spiritual Centre. All products are handmade from top quality natural ingredients. from our own gardens, personally wild-crafted, or by high quality resources. All our items are infused with intent during a ritual at the correct phase of the moon. Each item is has been spell-crafted to give the user a specific result. Gaia also offers Bone Readings, a form of divination, by witch bones, shells and curios of various sorts are ritually tossed onto a mat, and the resulting patterns interpreted. Throwing the bones is an ancient practice traditional to many regions of the world, including Africa, Asia, and North America. 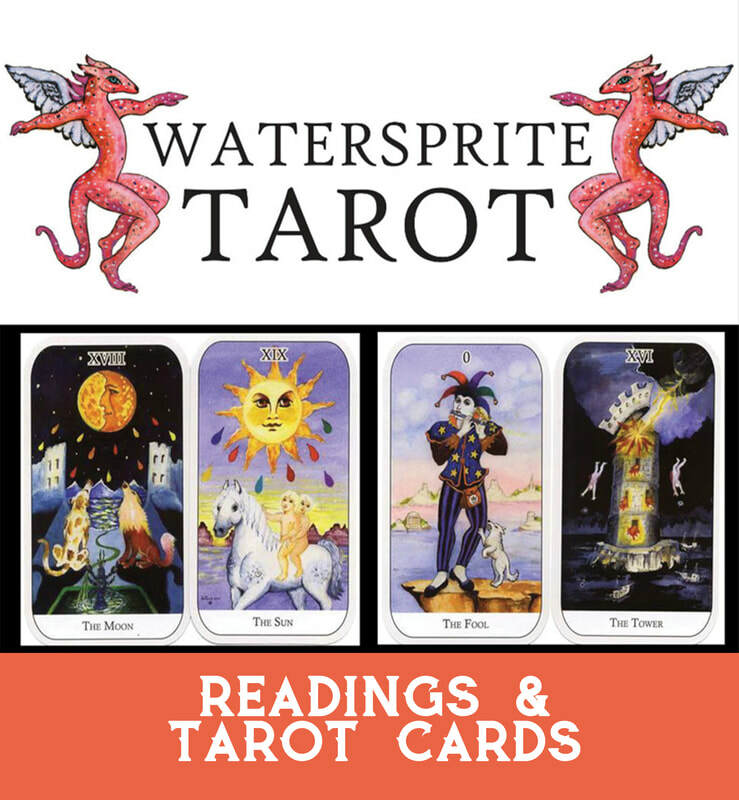 Rhiannon offers a unique tarot reading whereby she employees several different decks to find the specific message for you. We offer workshops, intuitive art classes, meditation classes, rituals and more. These activities are a great place to find community with likeminded individuals. A place of healing, a place to learn art, and open your intuitive side. Through these workshops you will engage your creativity. Engaging the creative process is also a way to stimulate your psychic ability. To nurture your intuitiveness and to enhance your mind to see beyond what is evident. We aim to create a safe and sacred space to allow to continuation of self and spiritual discovery. Millions around the world have discovered the benefits of pure essential oils, derived naturally from plants. We’re committed to establishing and maintaining the ultimate, industry-leading standard in essential oil products. For us, the non-negotiable benchmarks for delivering a product that our customers can feel great about are multifaceted and exacting. We’re proud to offer an extensive line of essential oils and essential oil-infused, plant-based products that represent the best of nature—through the standards of our Seed to Seal program. Young Living embraces a rigorous quality control standard to help ensure our products meet strict specifications. Seed to Seal is our set of standards that helps ensure that with every pure essential oil and Young Living product your family uses, you’re enjoying the benefits of our global resources, industry leadership, and over two decades of innovation. The result? A pristine final product that you know has been created with conscientious Sourcing, Science, and Standards—the three pillars of Seed to Seal. ​As the leader of the essential oils movement, Young Living is paving the way for every other essential oil company to improve processes that protect our planet and ensure the highest quality standards. 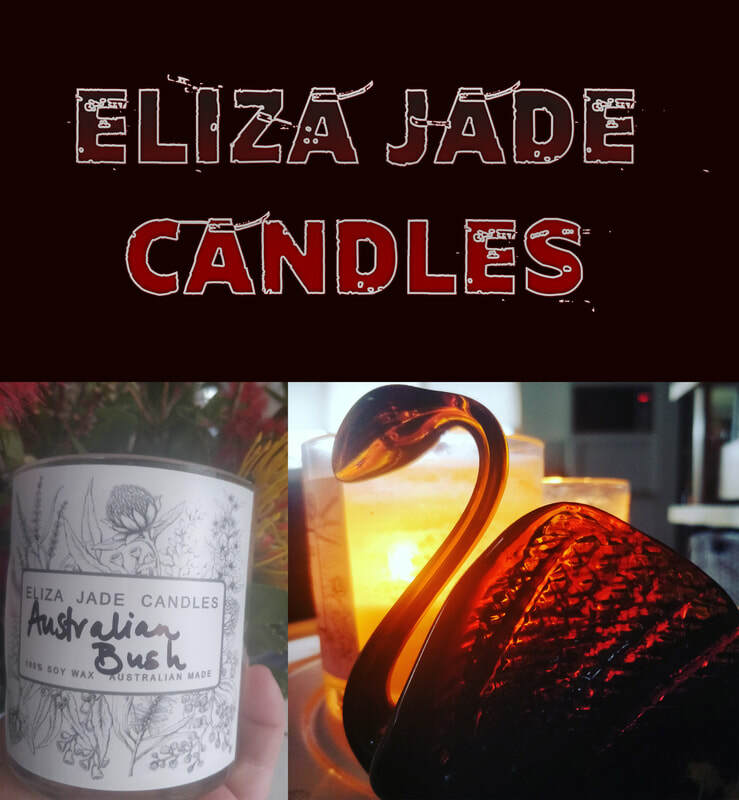 Eliza Jade candles specialise in unique scented candles with hundreds of different scents. 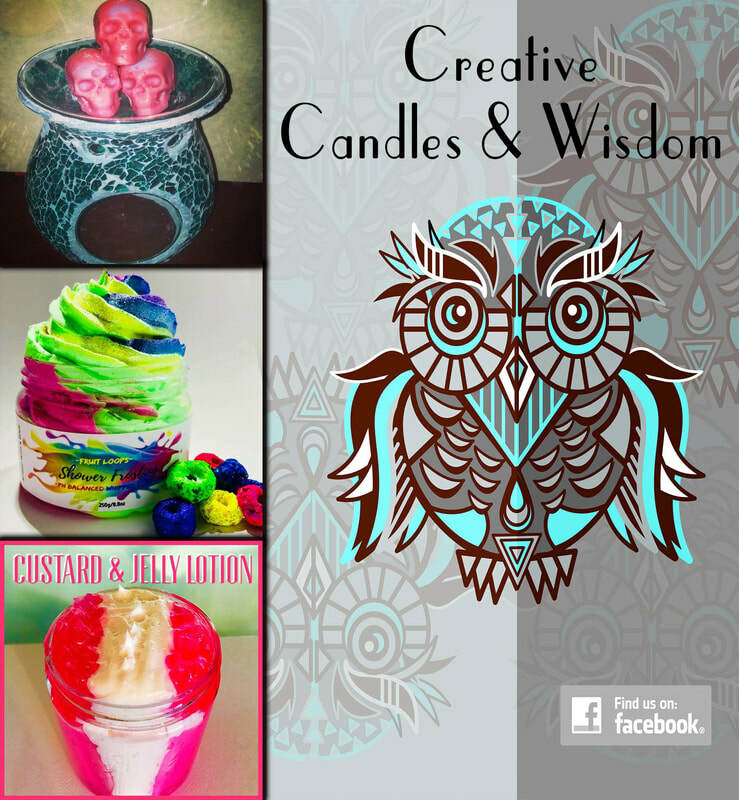 Each candle is hand crafted and poured with All natural soy wax which has a slow burn with no toxins or nasties. The melted soy wax can be used directly on the skin for moisturiser or massage. Look out for some amazing candles infused with crystals . 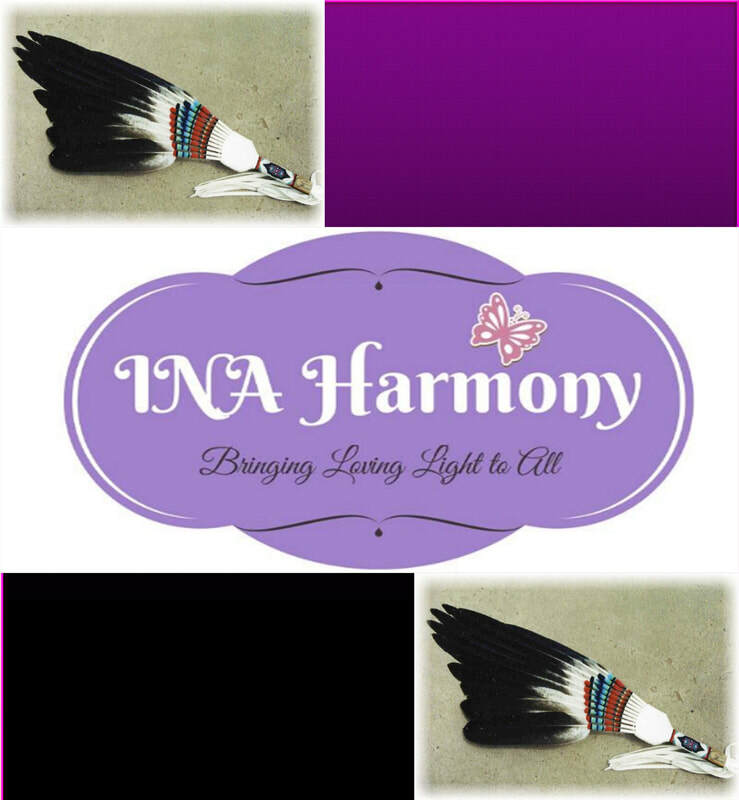 At INA Harmony we provide holistic healing services using crystals, Reiki treatments, Wellness workshops, Guided meditation sessions, Divination, Angel card readings and a choice of crystal packs and crystals that have been sourced around the world for you to purchase. We also offer home and work space clearing using our clearing and cleansing tools and products. 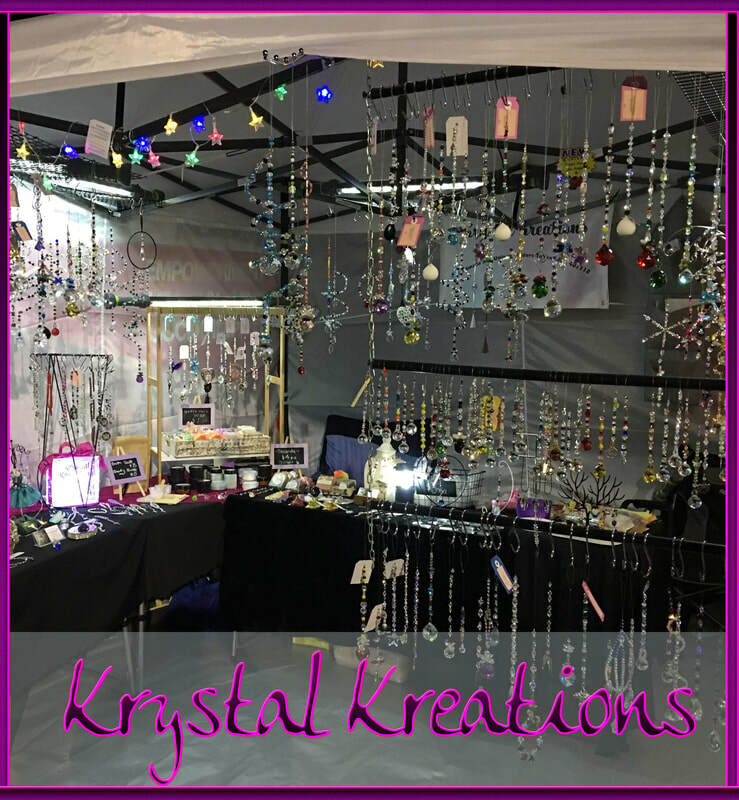 Krystal Kreations have absolutely beautiful Suncatchers in different shapes, including spirals. Natural stone drops and even lava bracelets and the like. All original, handmade products. They also have centering prisms and obelisks, and star sign suncatchers. You will see these gorgeous products glistening in the sun at an outdoor stall! Mary is a certified Angel Intuitive, Angel Card Reader, Angelic Reiki Practitioner and Empath. Mary works with the Angels to bring through divine messages from the Creator, giving you guidance on the path that will help you to live a happy and fulfilling life, and even help to heal from the past. Mary can also connect with loved ones in heaven, bringing through messages of love and guidance. Angel card readings, Photo readings, Energy readings, Mediumship - Mary will be doing her readings in the Performance Space of the Expo. All of Miriam's work and readings are full of compassion, integrity of the highest truth. Medium - I also connect with spirit to bring you messages from you love ones, guides and spirit that are there connecting for you, bringing peace, comfort and healing. Also on offer, Reiki Energy, Iridology and Spiritual Healing. 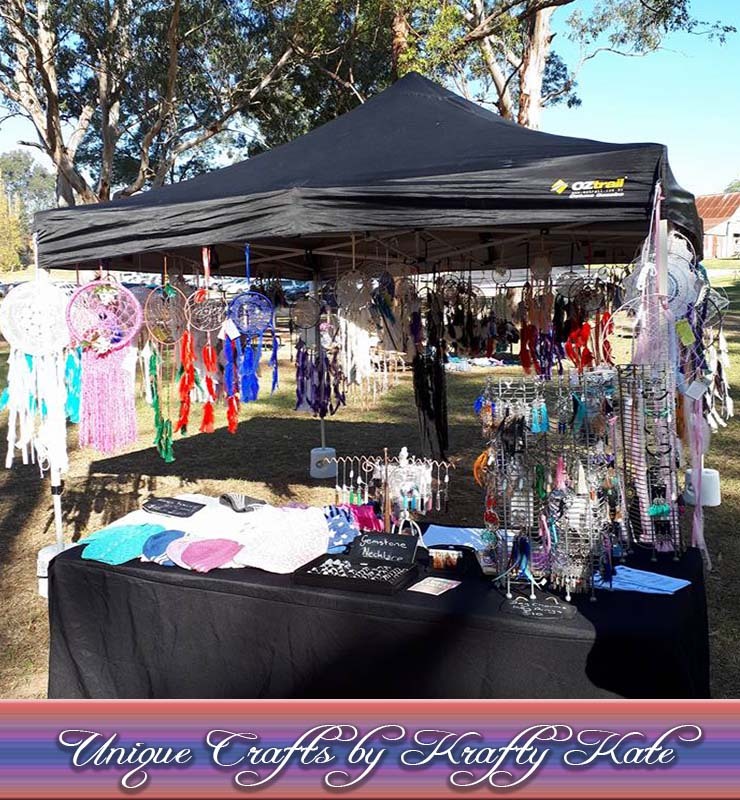 Unique Crafts by Krafty Kate brings you one off, hand made craft items. 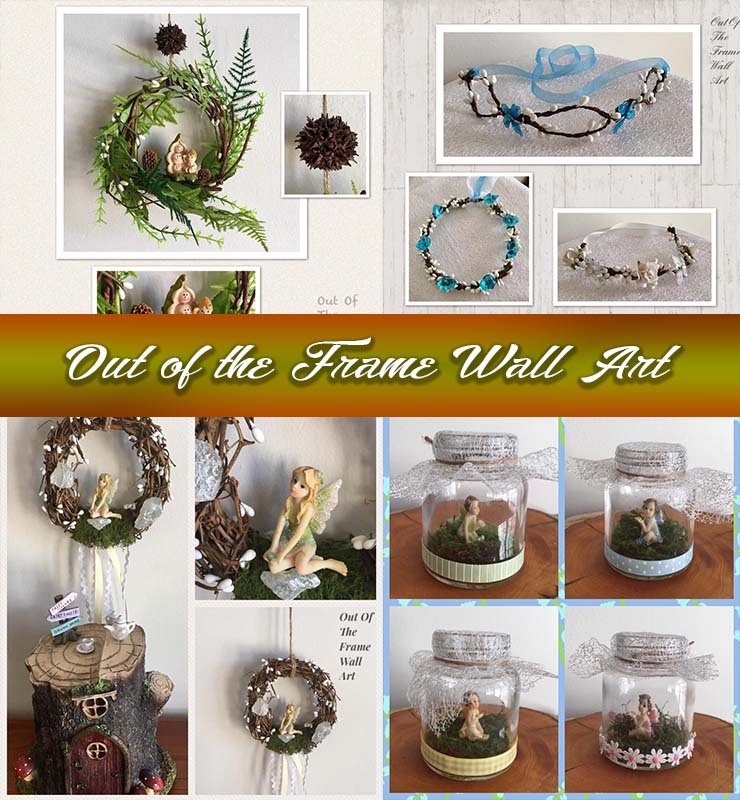 Dream catchers and retro wall hangings, lots of beautiful products to make your home or office serene. 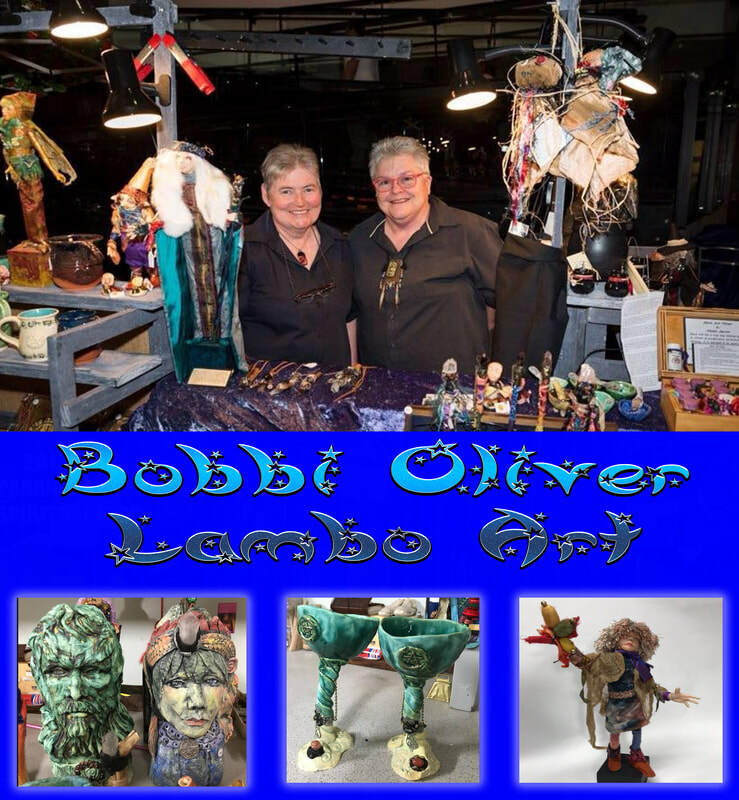 These items make perfect gifts, and being that the Expo is close to Christmas, stock up to buy some beautiful items for your family and friends. Hand crafted unique gifts are a rarity today in our fast moving mass produced society. Every wall art piece I do is special in its own way. Bespoke items, with a personal flare! ​Visit us in the main exhibition hall at the Oz Paranormal & Spiritual Expo. I am an Illustrator and a designer coming from a background in animation. Yes I will drop the Disney name as I'm extremely proud that I had the opportunity to work with other creative individuals. The departments I worked in was Inbetweening and Clean Up on many many awesome Disney movies. 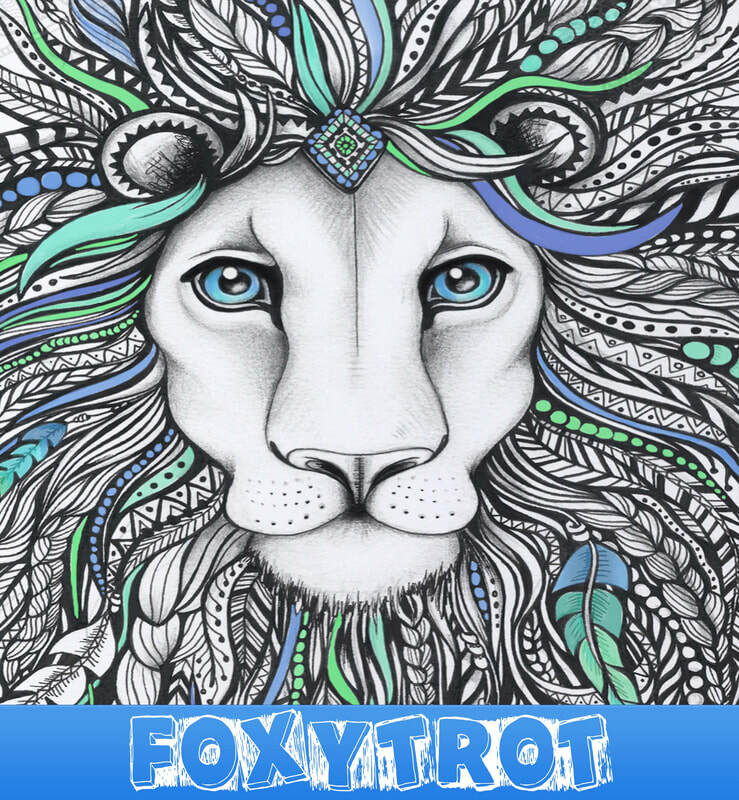 My lovely new direction in life - "FoxyTrot". I've now blended my clothing business with my artwork. 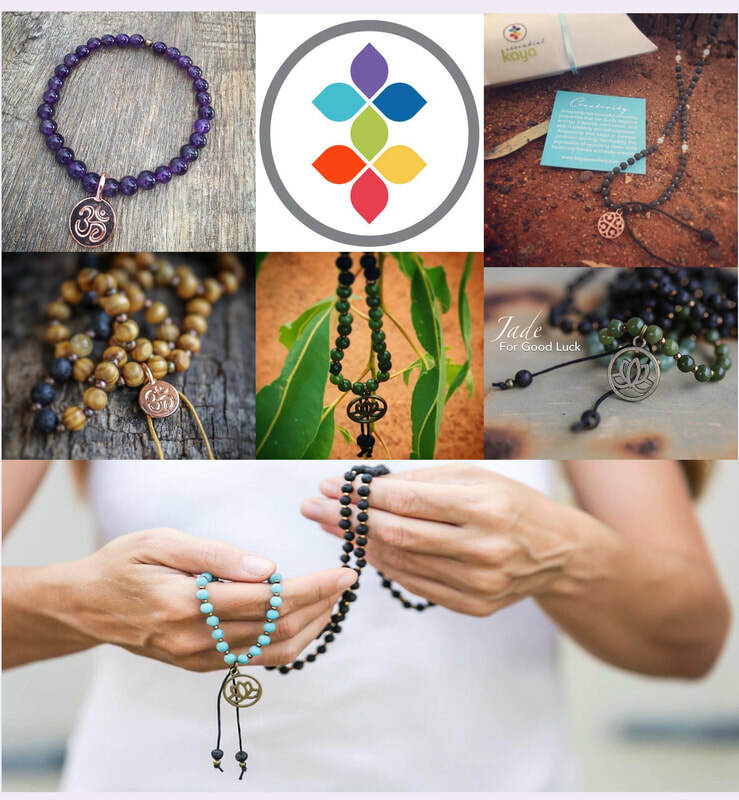 At Kaya, we create quality chakra based wellness jewellery that increases mindfulness, boosts positive energy, and inspires random acts of kindness. With 20 years experience as a professional designer, Marlowe applies her extensive knowledge of form, scale, function and comfort to every design. Each piece must pass high aesthetic standards with exacting attention to detail and craftsmanship. 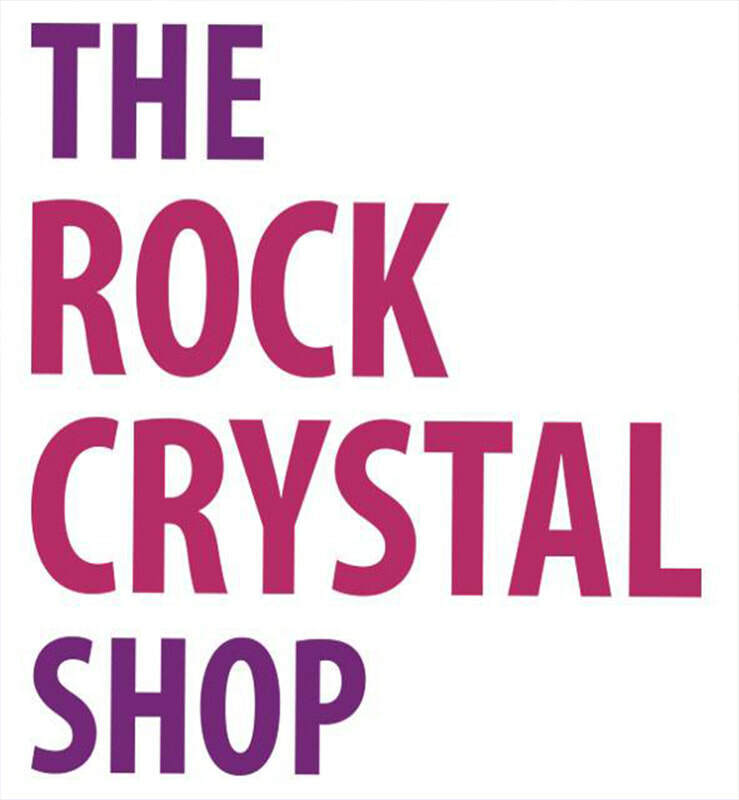 Kaya offers jewellery for men, women and children, especially those interested in a holistic approach to health and wellness, the environment and positive social change, and have a ‘design your own’ option for people who want a particular mix of healing crystals. 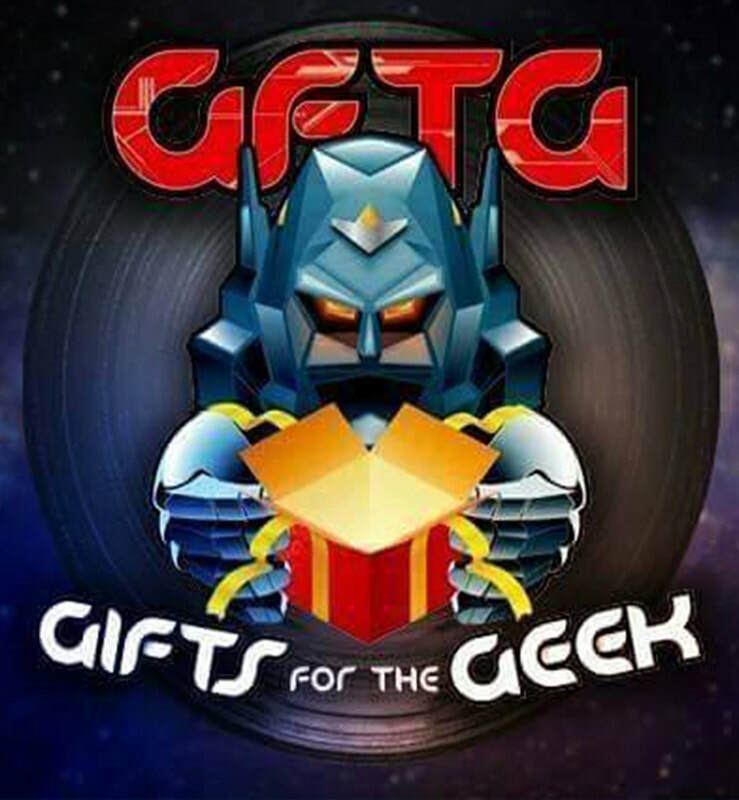 Everything you need for trading card games, table top miniatures, board games and role playing games. If its not in store, let us know! 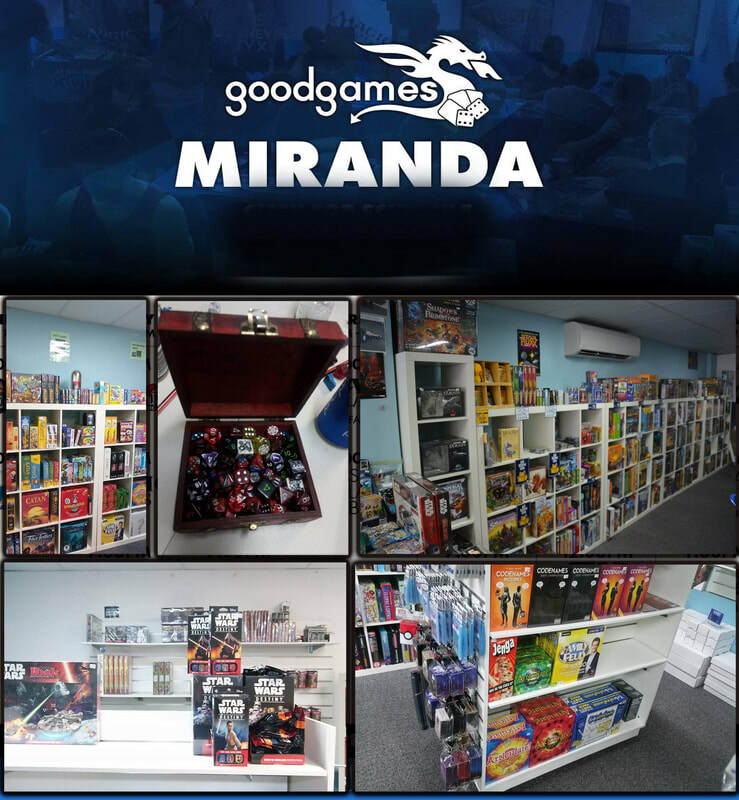 Good Games Miranda will have a selection of board games, trading cards and all kinds of weird and wonderful things available for you at the Expo! 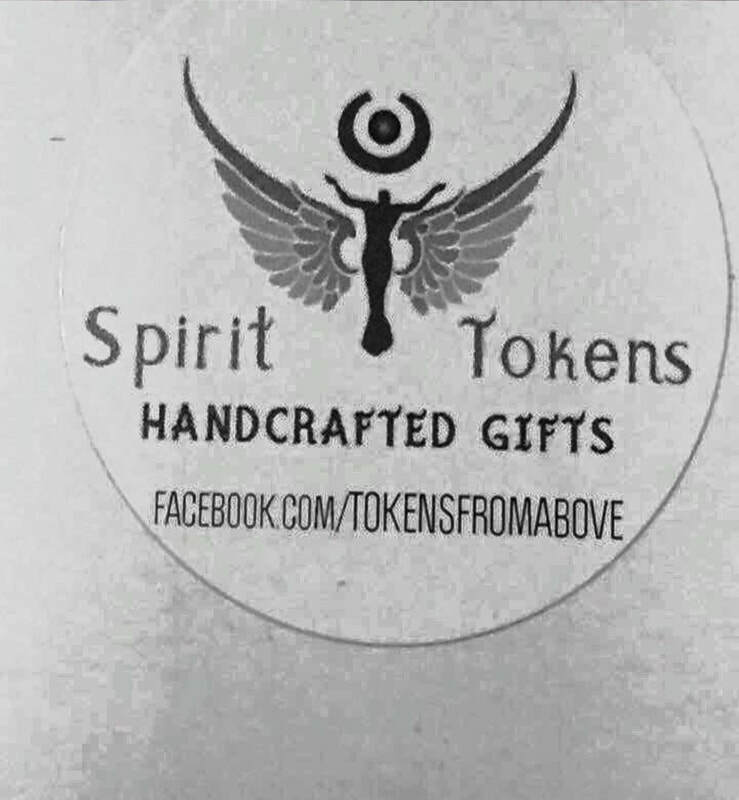 Spirit Tokens, Channeled Handmade Gifts created by Psychic Medium & Channeler, Rochell, a legally blind artist that uses her gifts to bring forward messages . 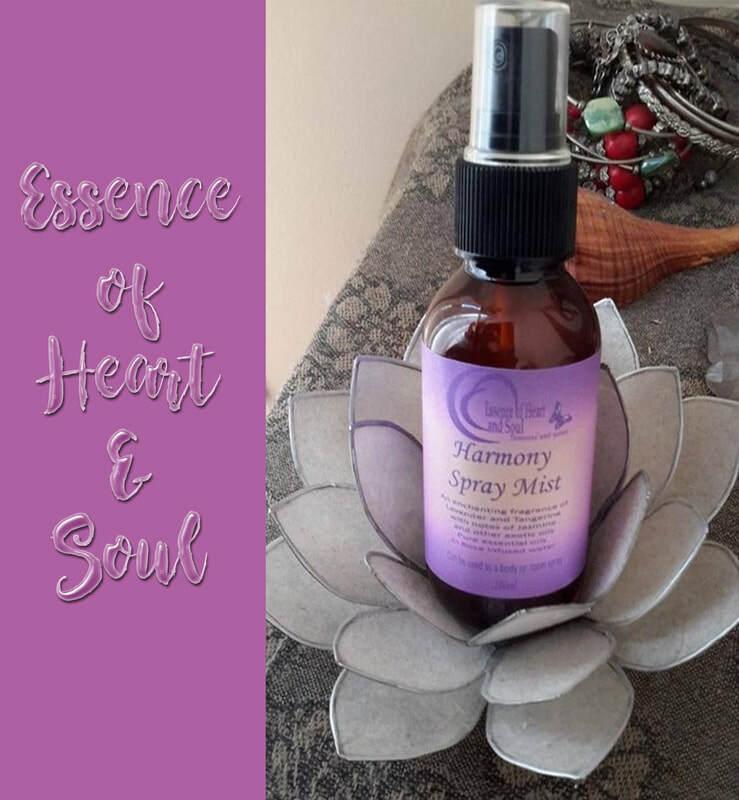 Her vision was in creating Spirit Tokens was a vision given by Archangel Jophiel to create & bring energy from above & embody this loving energy into the Spirit Token that calls to the person to help on their journey, so which Spirit Token calls to you? 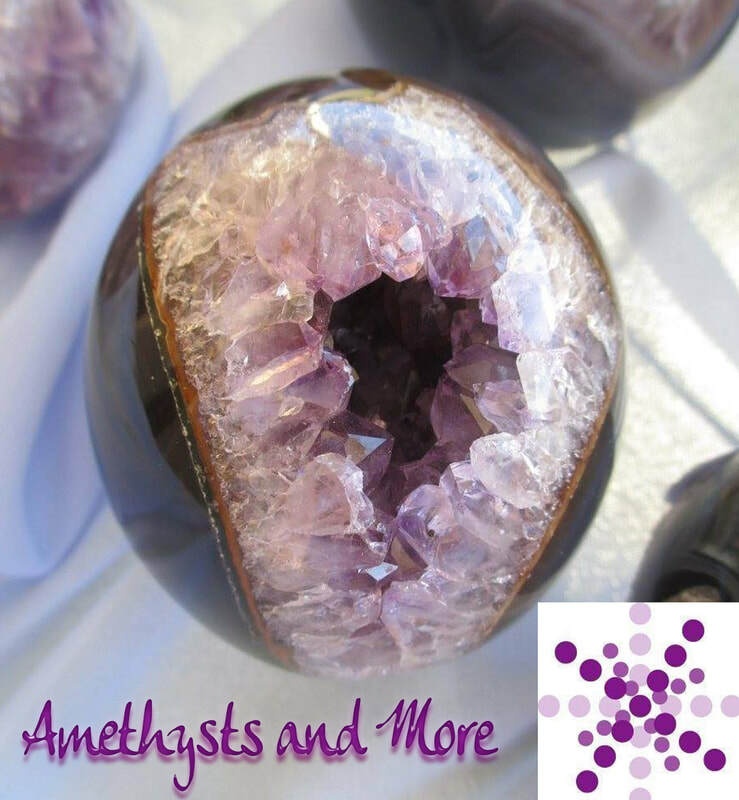 Amethyst crystals, jewellery and giftware. Uruguayan Amethyst are renowned for producing the darkest in the world. Amethysts feature an incredibly beautiful deep dark purple colour and numerous well formed crystals. Crystals are known to generate powerful energy of peace, health and tranquility. Wicca'd Star Dream is a Facebook and home-based business, so get ready to Enter the Realms of all things Psychic! Wicca’d Star Dream will be providing a range of New and Second hand books at the Oz Paranormal and Spiritual Expo, inspired by all things noted above, including Oracle and Tarot card decks for sale. 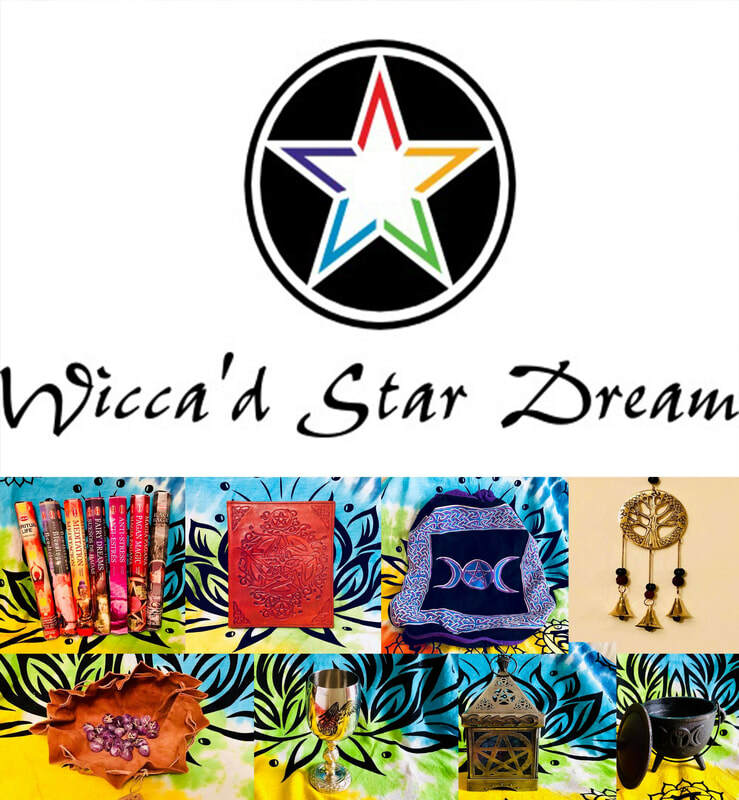 Come and check out Wicca’d Star Dream at The Expo for your Paranormal, Magickal, Spiritual and Healing items, plus much, much more, such as dreamcatchers and other like-minded gift ideas. Welcome to Eyes of Instinct! You will be able to grab yourself a selection of top quality non-prescription CRAZY contact lenses in both natural, colored and spooky styles to make your eyes stand out, whatever the occasion. Messages from beyond - past, present and future. ​Talking to spirit has been a life-long discussion. Having born with the gift, we would like to share this gift to everyone to assist any individual in many aspects of their lives. Our holistic philosophy is rooted in the concept of self-empowerment and the mind-body connection. Helping clients for four decades, it is gratifying and fulfilling to be able to know that a difference has been made in someone else’s life to better oneself and improve one’s life. 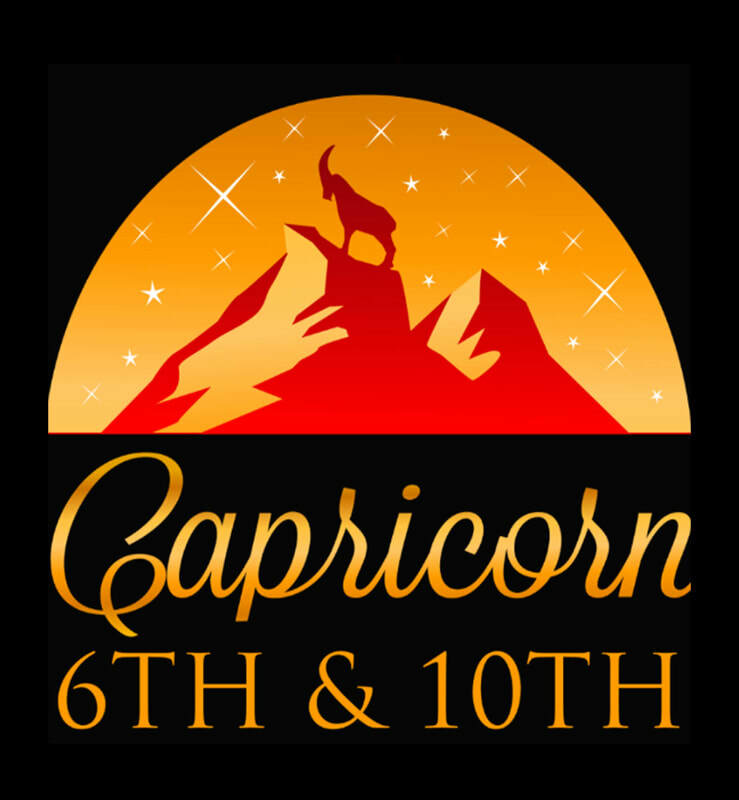 Here at Capricorn 6th and 10th, we endeavour to bring spiritual readings and healings to everyone. We serve as a hub for readers and healers to come together as one to help any client. Get in touch with us and we can start you on a program that starts where you are and sets the direction, even if you have no idea where you want to go. Although usually located on the seventh floor of Hogwarts Castle, the Room of Requirement can appear almost anywhere it is needed. 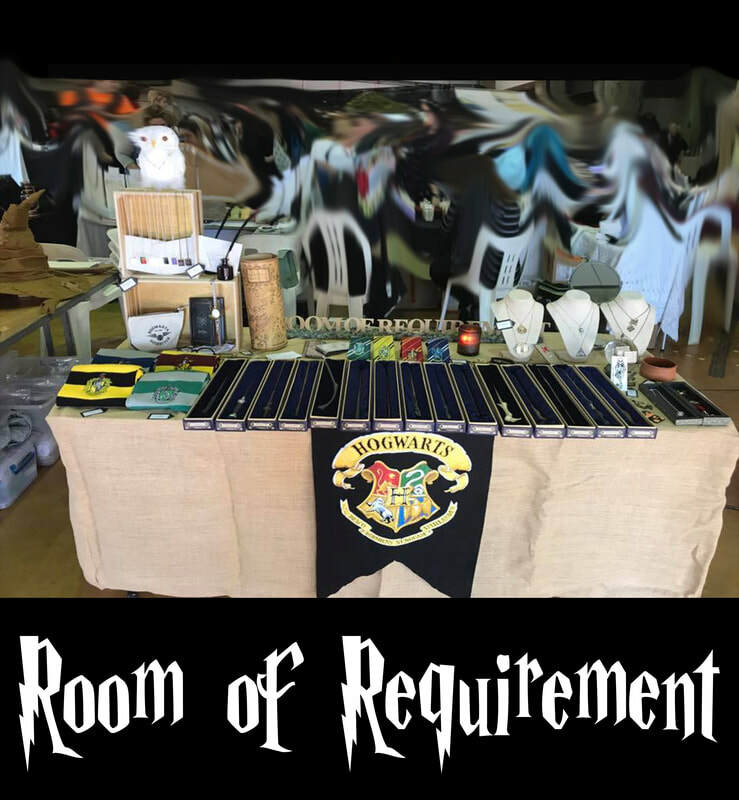 The Room is scheduled to appear in the Performance Space Exhibition Room at the Oz Paranormal & Spiritual Expo in November to fulfil the supply of magical items to Wizards and Witches as needed. ​We also specialise in muggle items that can exhibit magical properties or be used by squibs for display only. ​You will also find Hogwarts gear, House colours, Horcruxes (curse removed prior) and what muggles call 'sooveneers'. See you there!